Ukraine’s president on Saturday thanked the U.S. for its decision to provide his nation with lethal weapons, while Russian diplomats and lawmakers expressed dismay, warning that it will only fuel hostilities in eastern Ukraine. The angry response from Moscow comes a day after President Donald Trump’s administration approved a plan to provide weapons to Ukraine, including Javelin anti-tank missiles. Ukraine has long sought the weapons for its fight against Russia-backed separatists in eastern Ukraine that has killed more than 10,000 since April 2014 and strongly welcomed the U.S. move. “The American weapons can lead to more victims in the neighboring country, and we couldn’t stay indifferent to that,” he said. 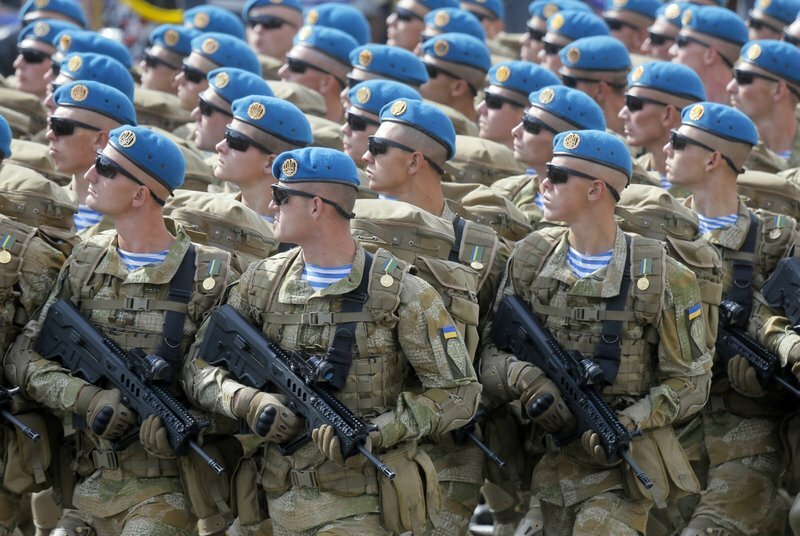 “With lethal weapons supplies, the U.S. gives a clear signal to Kiev that it will support a military option,” Alexei Pushkov, the head of the upper house’s information committee, said on Twitter. Tensions in the east have increased in recent weeks, with observers from the Organization for Security and Cooperation in Europe expressing concern about a recent spike in fighting. Earlier this week, Russia withdrew its military observers from the joint group monitoring the truce, citing “restrictions and provocations” by Ukrainian authorities that made it hard for Russian officers to perform their duties. Ukraine and the rebels declared an intention Wednesday to speed up efforts to exchange prisoners. They also agreed to maintain a cease-fire for the Christmas and New Year’s season starting Saturday, but immediately blamed each other for violating the deal. David McHugh reported from Frankfurt, Germany.